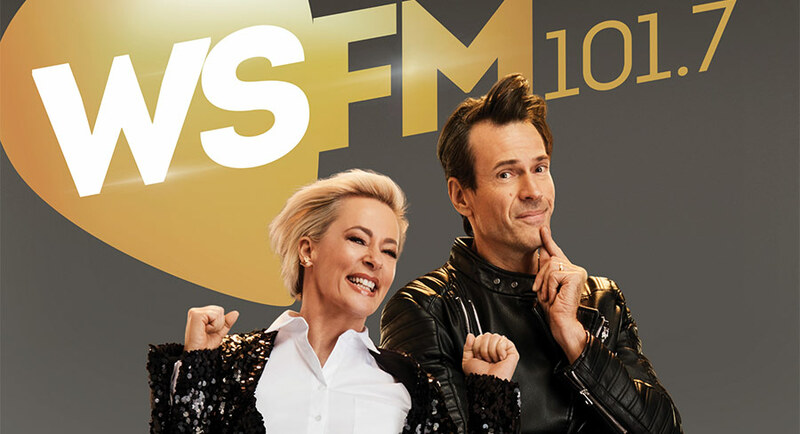 Sydney’s WSFM breakfast presenter Brendan “Jonesy” Jones credits himself for his on-air pairing with Amanda Keller. However, he gives his co-host credit for saving his career. Jones joined WSFM from Triple M in 2003, despite having a strong negative opinion about it. In a recent chat with Mediaweek, Jones remembered the ARN-owned station as a “horrible hillbilly place”. “I sold my soul to the devil,” he said. 2WS wasn’t doing well and its breakfast was bombing. Jones had been contracted for three years in that timeslot. He hated the first year at 2WS so much that he wanted to quit radio. 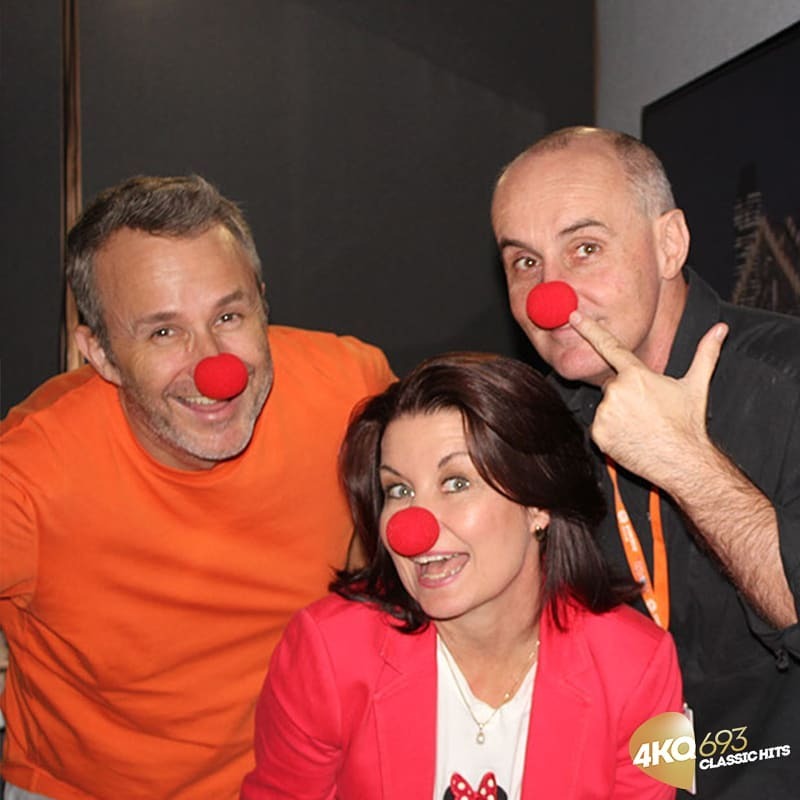 Jones had wanted to work with Keller since her days at Triple M. She was on the breakfast shift with Andrew Denton. Jones had filled in for Denton for about a week. However, it wasn’t all smooth sailing. In 2004, Keller had a newborn baby at the time and a three-year-old. Along with this, she was working on ABC TV’s Mondo Thingo two days a week and was one of Jones’s rotating co-hosts on 2WS breakfast. “She was the Wednesday girl,” he said. This work setup was perfect for Keller, who was adamant that she wasn’t going to do full-time breakfast radio. However, the cancellation of Mondo Thingo changed that. “If they had renewed that show, I would have never come to radio,” Keller said. It took some time for the listeners to understand the chemistry between the two presenters. Mediaweek editor James Manning rounds up the latest podcast news. 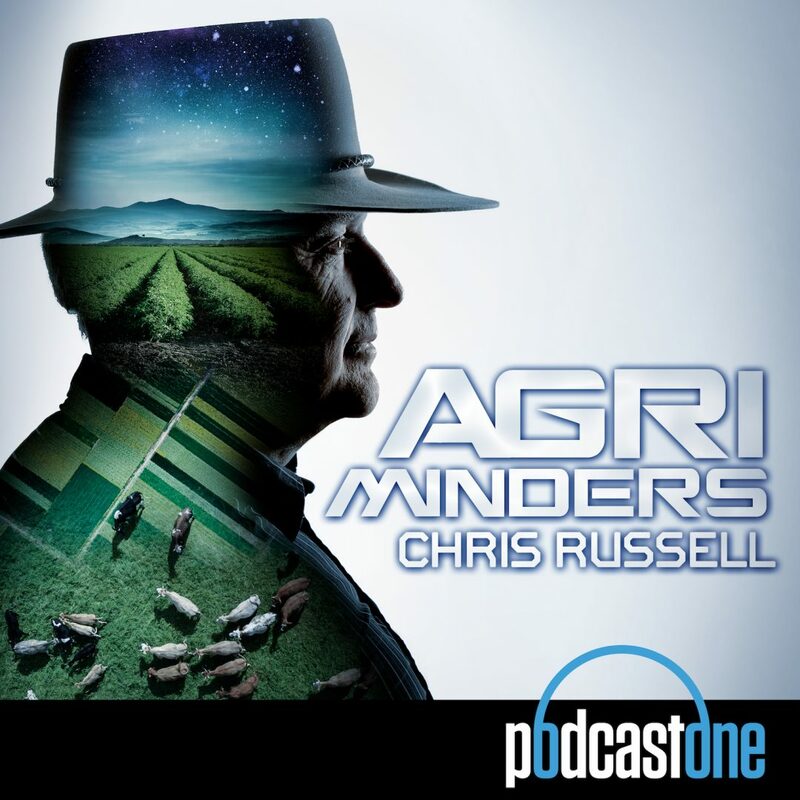 Trying to help listeners understand the importance of agriculture by speaking with the smartest minds is key to this new PodcastOne series hosted by Chris Russell. “The discussions are to help ensure that our agricultural future is secure for the generations to come,” Russell told Mediaweek. PodcastOne secured sponsorship for the Agriminders series from Cub Cadet mowers with 10 episodes all dropping last week. Russell has been a longtime agricultural scientist and was the agricultural judge on ABC TV’s New Inventors for seven years. He’s also been a agricultural contributor to Newstalk ZB in New Zealand for around 20 years. Russell’s agent contacted PodcastOne with the idea of producing a podcast that could sit well with both regional and metro listeners and subsequently negotiated a deal. At the time Russell wasn’t even sure what a podcast was! “Australia is the second-most urbanised country in the world after Singapore,” Russell explained. “The disconnect between the issues that affect the agricultural future and the city is massive. 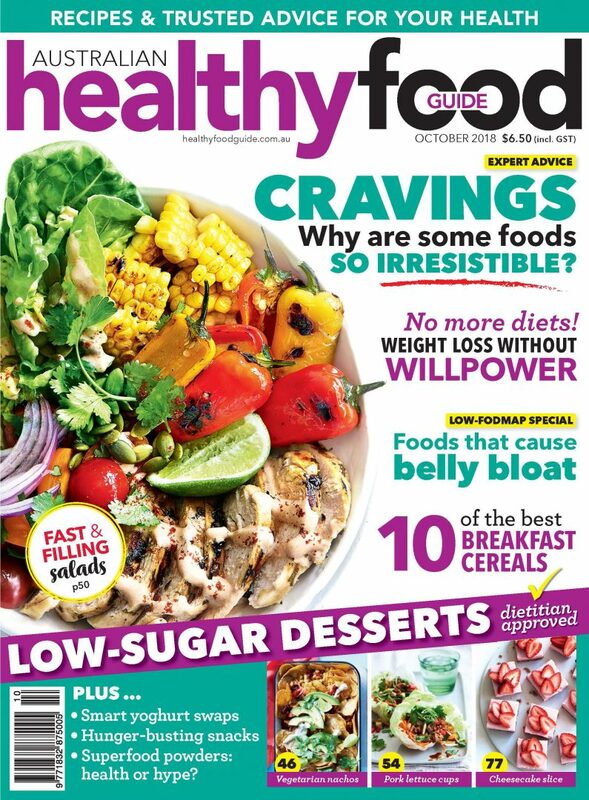 The closest a lot of people get to food sources is supermarket shelves. I have tried to always bring that disconnect closer together whether it be on television or when I’m speaking. Now via the podcast series. “It is so important that people understand how world food security and agricultural issues do affect people who live in big cities like Sydney and Melbourne. What I have done is talk to the custodians in agriculture in Australia and get a simple explanation with no jargon that will help people in cities as well as elsewhere understand what the issues are. 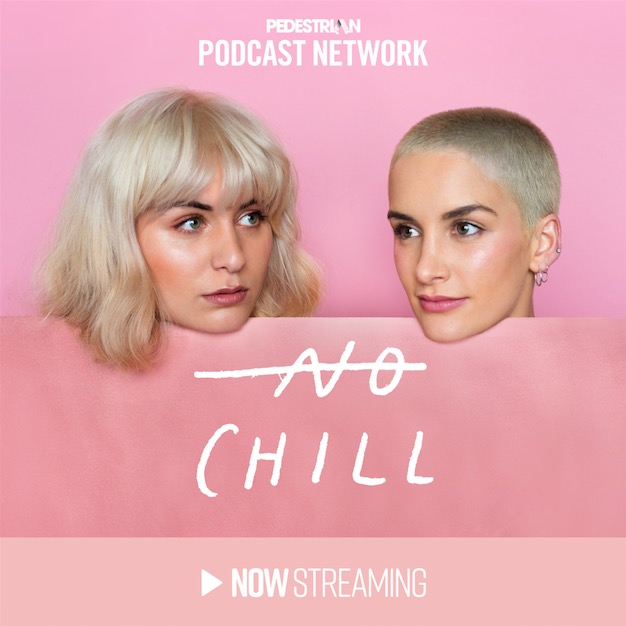 PEDESTRIAN.TV this week launched No Chill, a new six-part podcast series that focuses on the modern-day correlations between mental health and social media usage with the help of Instagram personalities, researchers, lawyers and psychologists. 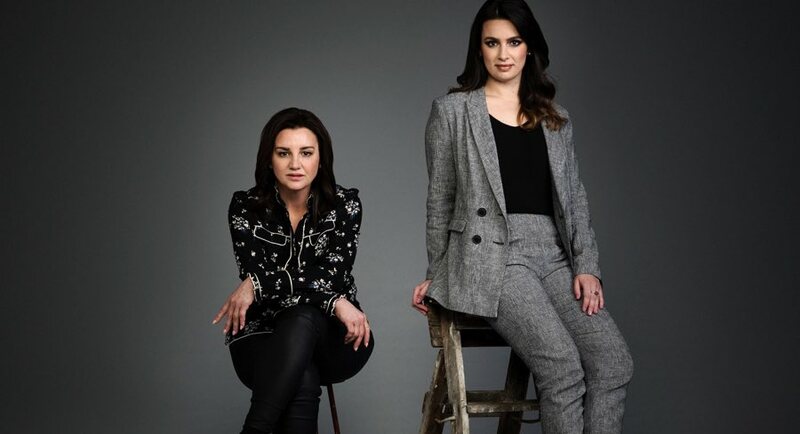 The series is co-hosted by comedian and PEDESTRIAN.TV presenter, Lucinda Price, and writer and editor Madison Griffiths. Price can also be heard hosting the original podcast Waiting For A D8. She is a former digital producer SCA and also co-hosted The Squad, a late-night show on Fox FM, in early 2017. No Chill episodes drop weekly on iTunes and Spotify on Tuesdays. For real-time episode updates, follow No Chill on Twitter, @NoChillPod. Listen to No Chill here. It’s the only show guaranteed to teach you things about stuff you really don’t need to know. That’s the promise from The Chaser’s Andrew Hansen when he introduces its new podcast series The Cat’s Pyjamas. The first episode tells the story of how the CIA tried to assassinate Cuba’s president Fidel Castro many, many times and never succeeded. It’s James Bond meets Inspector Clouseau. There can only be one thing better than Triple M’s Radio Chaser program, and that is this new podcast series from PodcastOne. Joining Hansen on the all-star first episode are Dom Knight, Chris Taylor and Charles Firth. Listen to PodcastOne’s The Cat’s Pyjamas here. Following successful Australian partnerships with Google and Amazon across their Smart Home devices, the launch of a digital audio platform Sky News Radio, and consistent month-on-month growth of podcast streams, Sky News is recruiting for the new role of audio producer to spearhead audio strategy and create bespoke audio-first content for the network. Sky News reported this week its podcasts have delivered over 48% year-on-year growth in streams. To further improve the Sky News offering across existing and emerging audio platforms, Sky News has appointed Nova Entertainment and Acast as sales and technology partners. Nova will represent Sky News audio content in the Australian marketplace from October. The most popular Sky News Australia podcasts are The Bolt Report, Jones & Co, Paul Murray Live and Credlin. Listen to The Bolt Report podcast here. This past week saw the first Mamamia Talks Beauty at Myer live podcast events. Hosts Leigh Campbell and Rachel Corbett took their unique take on beauty and skincare to Myer stores in Sydney and Melbourne and they will be at Myer Adelaide on Friday September 21 from 6:45pm. 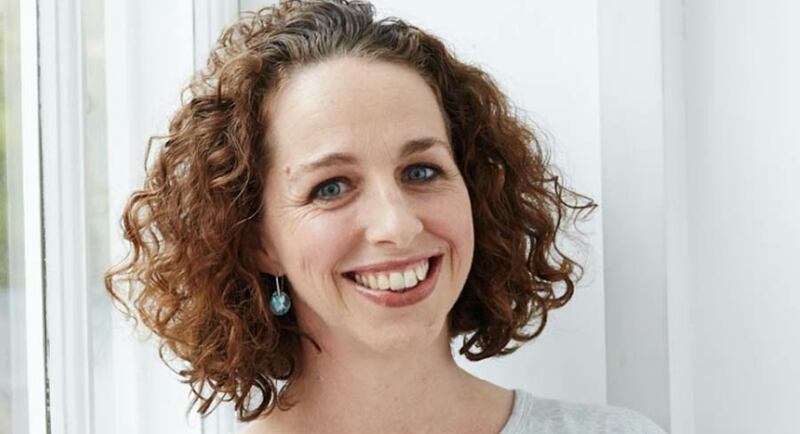 Meanwhile, Mamamia has announced the appointment of Belinda Cook as head of audio sales. Mamamia claims global leadership in podcasting and has created a new role to assist clients to communicate with the big Mamamia podcast audiences. Listen to Mamamia podcasts here. Both Nova and 4KQ radio brands were down this survey… sort of. While both lost share, 4KQ also lost cume audience, but Nova managed to actually increase its cume audience, marginally, up 1,000 to 593,000. In the past three years Nova has had just one survey each year under 12%. It will be hoping this is the only survey this year in that territory. The station’s Ash, Kip & Luttsy with Susie O’Neill breakfast show dropped as low as 10.7% in one survey last year, so look for a rebound again soon. Nova’s Paul Jackson noted that while Nova slipped in the rankings, it is not far off the pace. The station has long batted above where it should be as an AM music outfit. In three years the 10+ share has bounced around between a high of 10.2% and a low of 7.4%. After a massive survey four share of 9.9%, things have cooled a little. Breakfast with Laurel, Gary and Mark is down 1.2 to 7.0%, which is the lowest in over two years. While the station competes on share some surveys with the FM club, the cume audience tells a different story. 4KQ is well ahead of other AM broadcasters 4BC and Macquarie Sports 882 (more on them on Friday this week) but it trails significantly when looking at the FM cumes. The smallest commercial FM cume 10+ is Triple M on 437,000 compared to 4KQ’s 233,000. The 55-64 demo is the sweet spot for the station and an age group where the boomers are spending up. Share in that demo is a market-leading 21.0%. Foxtel will create Australian television history by broadcasting the Supercheap Auto Bathurst 1000 and Supercars in 4K ultra high definition. 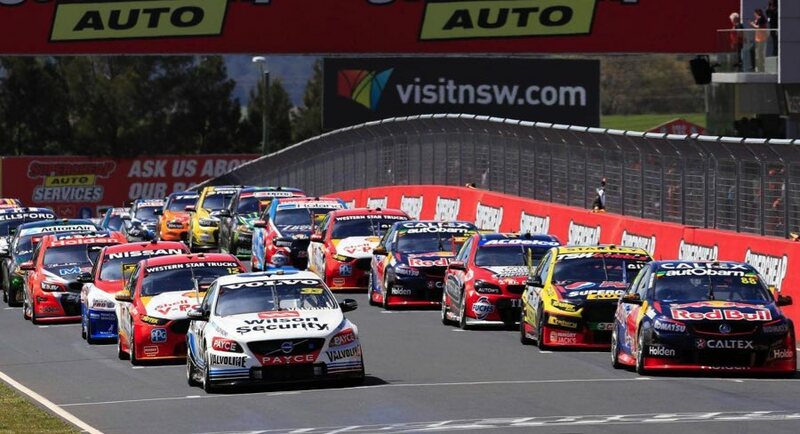 Foxtel will show key events of the Bathurst Supercars weekend, including a Sunday replay of the Top Ten Shootout immediately before a live broadcast of Sunday’s main event, both in 4K and, for the first time ever, with no ad breaks during racing. Foxtel CEO Patrick Delany said, “When we announced Foxtel in 4K a month ago we challenged ourselves to bring it to life as soon as possible and after an incredible amount of work we are delighted to bring Australians Bathurst like never before. “We did a full test at Sandown last week and the pictures leapt off the screen in 4K. It was amazing – we are ready to go for Bathurst. The 4K coverage of the Supercheap Auto Bathurst 1000 can be seen on Foxtel’s 4K channel 444, which will launch on October 3. The action will rev into gear on October 7 with a replay of the Top Ten Shootout that will decide which Supercars driver will start on pole position, followed immediately after with the Supercars Great Race over 161 laps (1,000km) live and in 4K. Foxtel subscribers can get the complete coverage of the event including every practice and qualifying session, uninterrupted and in HD on Fox Sports 506. It will switch to becoming a Bathurst dedicated channel on October 1. Foxtel’s 4K channel comes as part of a Foxtel Platinum HD or Foxtel Sports HD subscription for customers with an iQ4. Over the next 12 months, Foxtel will continue to expand the selection of 4K content for subscribers, including the Australian 4K debut of live Cricket, which kicks off with Australia v South Africa on November 4, as part of the Gillette ODI Series. Controversial politician Jacqui Lambie has joined the third season of SBS’s Go Back To Where You Came From Live. She will be joined by Sydney-based immigration lawyer Marina, who came to Australia as a refugee of the Bosnia War. Lambie and Marina join the previously announced six participants, which include comedian Meshel Laurie. The third season of Go Back To Where You Came From, produced by Cordell Jigsaw Productions, will be live. Lambie and other participants on the show will be sent to a war zone to witness the refugee crisis and its impacts. The exact locations have not been revealed yet. Lambie was a Tasmanian Senator from 2014 to 2017. She has been highly critical of Islam and has campaigned to ban the burqa in Australia. The politician is concerned about new migrants to Australia not integrating. In the series promo, Lambie is heard saying: “You have the Chinese in one place, the bloody Muslims in one place, the Indians are taking over the suburbs. That’s not integration. With the live format of Go Back To Where You Came From this year, journalist Ray Martin and SBS World News presenter Janice Petersen will be stationed in the studio in Sydney – dubbed as the Nerve Centre. They will observe the stories unfold through a mix of documentary elements and live crosses to participants on the ground in conflict hotspots and frontlines across multiple continents. SBS’s Go Back To Where You Came From Live will air across three nights from October 2 to 4. Nova Entertainment and Acast have announced a new commercial and technology partnership to represent Sky News’s digital offerings. 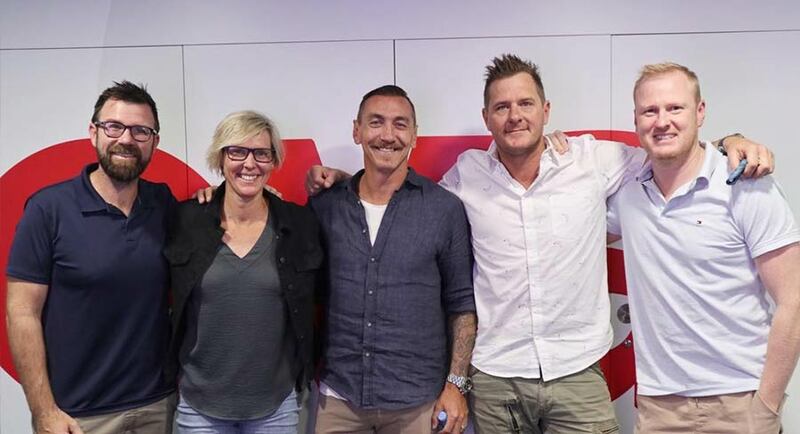 Nova Entertainment and podcast partner Acast will represent Sky News’s audio content in the Australian market place from October, following Sky News’s recent investment in its network audio strategy. This new partnership will provide Nova Entertainment’s commercial partners with access to Sky News’ 20 podcast episodes per week, across seven different shows. This will include Paul Murray Live, Richo with Graham Richardson, Andrew Bolt’s The Bolt Report, and Credlin featuring political commentator Peta Credlin, allowing partners to utilise Sky News’s extensive audience and Acast’s dynamic commercial insertion technology. Sky News Australia head of digital Tim Love said, “Sky News Australia is thrilled to announce the appointment of Nova Entertainment and Acast to deliver new ways for consumers to engage with Sky News’s premium news and opinion content, and importantly to develop innovative audio opportunities for advertiser partners. “Audio is a critical component of Sky News’s digital strategy and we are excited about working with Nova Entertainment and Acast to improve our audio content offering across existing programming with Australia’s biggest names in news and politics, and through exciting new formats that are in the pipeline. BBC First has announced a raft of new dramas that will premiere on the channel in 2018/19 with stars like Idris Elba, Alexander Skarsgård, Michael Shannon, Lily Collins, Dominic West, Tim Roth, Christina Hendricks and Jenna Coleman. Highlights include an adaptation of John le Carré’s spy thriller The Little Drummer Girl from the makers of The Night Manager, Les Misérables, The Missing spinoff Baptiste, as well as Press. Idris Elba will return to the role of Luther. Tim Roth, Christina Hendricks and Genevieve O’Reilly will return in the second series of the dark crime drama Tin Star. New seasons of popular BBC shows Peaky Blinders, Victoria, Call The Midwife and Death in Paradise will all come to the channel in 2019. In the year-to-date, live audiences on BBC First have seen an increase of 25% YOY for Total People and 49% for P25-54. This has made the channel an attractive destination for advertisers and sponsors with Travel Associates and Smeg both signing on as channel sponsors in 2018. 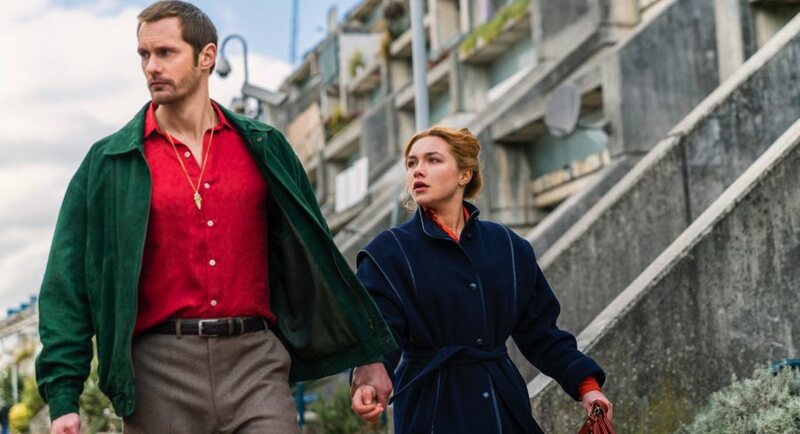 Based John le Carré’s spy thriller, The Little Drummer Girl is the latest adaptation from the team behind the BAFTA, Emmy and Golden Globe-winning series The Night Manager. Starring Alexander Skarsgård (Big Little Lies), Florence Pugh (Lady Macbeth) and Academy Award nominee Michael Shannon (The Shape of Water), the series is directed by visionary filmmaker Park Chan-wook (Old Boy, The Handmaiden). 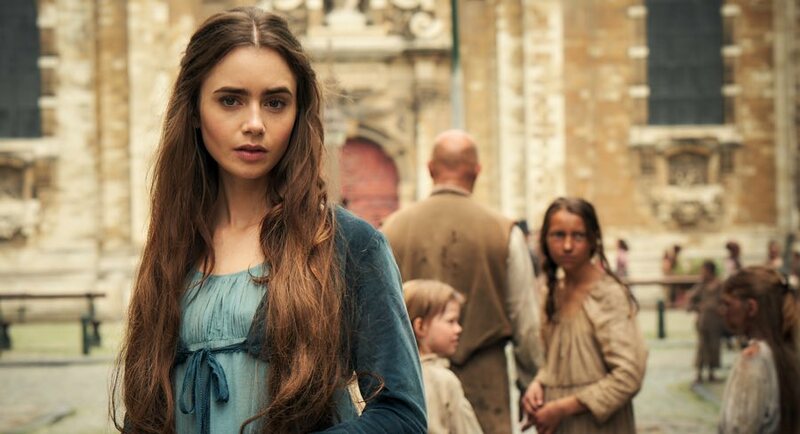 Adapted by Andrew Davies from Victor Hugo’s 19th Century classic, Les Misérables stars Dominic West as Jean Valjean, David Oyelowo as Javert and Lily Collins as Fantine. Golden Globe-winning Idris Elba returns to the iconic role of DCI John Luther with a fifth series created by Emmy-nominated writer Neil Cross. Luther and new recruit DS Catherine Halliday played by Wunmi Mosaku investigate a series of horrific killings in London. Tchéky Karyo reprises his role as French detective Julien Baptiste from The Missing in a spinoff series. The series also stars Jessica Raine (Patrick Melrose) and Tom Hollander (The Night Manager). Written by Mike Bartlett (Doctor Foster) and set in the fast-paced and challenging environment of the British newspaper industry, Press explores the personal lives and constant professional dilemmas facing the journalists who work at two rival newspapers. The series stars Charlotte Riley (Peaky Blinders), Ben Chaplin (Apple Tree Yard), David Suchet (Poirot) and Brendan Cowell (Love My Way). Tim Roth (Pulp Fiction) returns as Jim Worth, the alcoholic former London detective who moved to the town of Little Big Bear in the Canadian Rockies to escape his troubled past. 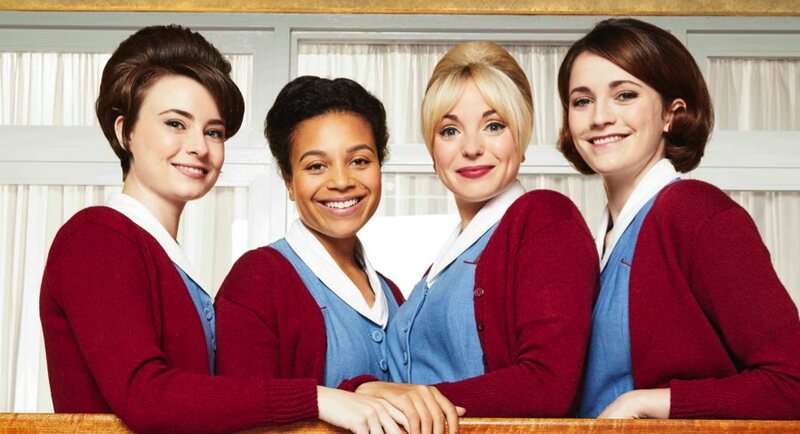 The series also stars Christina Hendricks (Mad Men), Genevieve O’Reilly (Glitch) and Abigail Lawrie (The Casual Vacancy). The show stars Jenna Coleman (Doctor Who) and Tom Hughes (Paula) in the lead roles. The Christmas Special will guest star Miriam Margolyes (Harry Potter franchise). Ardal O’Hanlon returns as DI Jack Moone. The channel had the winning primary share of 20%. Its reality renovating show, The Block, was the most-watched non-news program on telly last night with 881,000 watching. Challenge day on The Block turned out to be the lovechild of My Kitchen Rules and MasterChef Australia. The contestants were required to cook for 100 people. Each team had to sell 20 tickets each for a charity lunch function. The My Kitchen Rules factor was that the Blockheads used their newly built kitchens to prepare meals for guests and the MasterChef factor was the sheer volume of people they had to cook for. The lunch menu was paradise curry, zucchini slice, spaghetti and meatballs, soba noodle salad and curry in a hurry. Jess and Norm’s curry won the hearts of the mystery judges. As a result, the Gold Coast couple added $5,000 to their renovating budget. Earlier in Nine’s schedule, the Hot Seat pulled an audience of 499,000. Bite Club did 449,000. The broadcaster had the second-biggest primary share of 18.0%. The News was its most-watched program with an audience of 961,000 at 6.30pm. The first half-hour from 6pm had 956,000 watching. Home and Away did 620,000. Other programs on the channel in last night’s top 20 were Motorbike Cops (562,000), The Chase (552,000), Highway Patrol (501,000) and 9-1-1 (464,000). Wednesday night on TEN is Bachelor night. The show was once again TEN’s most-watched program. An audience of 854,000 finally saw Cass go on a single date with Nick “Honeybadger” Cummins. The fact that she has had a brief fling with him outside the show has been well documented by this point and she has left no stone unturned in letting Australia know that she has strong feelings for the Honeybadger – in fact, according to the human lie detector from last week, she may already be in love. Cass has waited so long for this date that she, in her own words, “can not breathe”. Nick and Cass spent their day getting wet and wild at Sydney’s Wet’n’Wild. At the end of the date, Cass asked Nick the big question (again): “Do you have any feelings for me?” After she received a vague response, the date ended with a kiss and a red rose. One of the intruders of this season, Jamie–Lee, was sent home at the rose ceremony. However, it wasn’t all about The Bachelor on TEN last night. Its newest Australian drama Playing For Keeps premiered. The first episode had 583,000 watching. Shaun Micallef’s Mad As Hell was the channel’s most-watched program with an audience of 684,000. It ranked #8. The ABC also had two other shows in the top 10 – Hard Quiz with 672,000 viewers and ABC News with 665,000. The ABC has refused to clarify whether senior managers made an assessment of serious alleged war atrocities by one of the country’s most highly decorated soldiers, Ben Roberts-Smith, reports Darren Davidson in The Australian. The national broadcaster would also not say whether senior managers had spoken to Dan Oakes, a senior reporter with the ABC Investigations team, about claims he put to Roberts-Smith after it emerged the organisation collaborated with Fairfax Media on an investigation into alleged war atrocities by Australian special forces troops. The ABC pulled out two months before Fairfax was sued for defamation, court documents show. Australian War Memorial director Dr Brendan Nelson says he is disturbed by media attacks on Victoria Cross recipient Ben Roberts-Smith, saying they are fuelled by “comfortable lives” that “breed easy indifference”, reports Joe Kelly in The Australian. Nelson said it was easy to forget the reason Australians enjoyed their freedom was that “we have basically given the responsibility to risk being killed, and killing where necessary, to other people”. Following a series of reports alleging war crimes in Afghanistan by Australian special forces troops, Nelson said judgments were being made about the conduct of soldiers without proper context. In this troublesome era of post-truth journalism, fake news and conspiracy theories, the ABC has surrendered any claim to intellectual integrity and political objectivity. It led its television news bulletin on Tuesday night with a story that is a jaundiced concoction of rumours and factual errors purporting to suggest Malcolm Turnbull lost the prime ministership because of a media campaign led by this newspaper [The Australian]. This so-called reporting by the ABC’s national political editor, Andrew Probyn, repeated in an online version, is so wide of the mark and far-fetched it would sit more neatly on the pages of the Green Left Weekly rather than on the publicly funded platforms of the national broadcaster. The ABC’s claim is akin to what we might read from an undergraduate activist writing for a university newspaper: that Rupert Murdoch directed the dispensing of a prime minister, and through the agency of this newspaper, a clutch of strongly opinionated Sky News hosts and, bizarrely, Fairfax Media radio hosts, he had his way. Kerry Stokes has strongly rejected a report by the ABC claiming that Malcolm Turnbull lost the prime ministership because of interference from him and Rupert Murdoch, confirming tonight he had “never received a text” from the News Corp executive chairman “on this or any matter”, reports The Australian’s Darren Davidson. In a rare public statement, the Seven West Media chairman unequivocally denied a series of claims made by the ABC’s national political editor Andrew Probyn in a lead story illustrated by graphics of mocked-up text messages during Tuesday’s evening news bulletin. Accompanied by a 2165-word online article titled “What did Rupert Murdoch and Kerry Stokes have to do with the Liberal leadership spill?”, the ABC news report alleges Stokes and Murdoch conspired to direct the demise of Turnbull through media outlets. Former prime minister Malcolm Turnbull spoke to News Corp executive chairman Rupert Murdoch two days before last month’s Liberal Party leadership spill, urging the media mogul to stop a campaign against him, reports David Crowe in The SMH. Turnbull challenged Murdoch over the coverage of his government in News Corp newspapers and its Sky News television channel, arguing the media company was intensifying the leadership turmoil. Fairfax Media has been told Murdoch played down his part in fuelling the leadership speculation, saying it was primarily a matter for his son Lachlan, who is his co-chairman and a stronger presence in the company’s Australian operations. A Melbourne cultural institution, Village Roadshow’s Coburg drive-in in the city’s inner north, is on the market with expectations it will fetch $11 million or more, reports The AFR’s Nick Lenaghan. And while the 8.2 hectare metre site on Newlands Road represents a prime redevelopment opportunity, the show is not over quite yet, with the owner, a subsidiary of the ASX-listed Village Roadshow, offering it as a sale-and-leaseback deal with an initial 10-year period. Still popular today and among the last of its kind in the state, the landmark site has been used as a drive-in cinema since November 1965. It comprises three screens, each of them 33 metres wide – thought to be the largest in the southern hemisphere – and overlooking an asphalt viewing area of 36,000 square metres. The drive-in includes a single-level retro style diner and children’s playground, while the ticket booth, topped by an old yellow Holden, is a local landmark. Spotify Australia might be licensing music directly from some artists but it will never be a record label, according to managing director Jane Huxley, though it will continue to “innovate on the supply side of music” and champion emerging unsigned artists, reports Michael Bailey in The AFR. Huxley’s comments come as the three major record labels are rocked by speculation that the Stockholm-based music streamer, which made a $US29.5 billion direct listing on the New York Stock Exchange in April, is advancing money to unsigned artists as part of licensing deals that bypass the labels and allow both parties to keep a bigger share of royalties. Ahead of staging Australia’s first music festival curated entirely by data, October’s Front Left Live – where the most-streamed artists from Spotify Australia’s “Indie Mixtape” playlist will perform for invited fans known to listen to them most – Huxley said the service had been leasing music direct from artists since its launch in 2008. “We’ve always licensed music from whoever owns the rights – could be a major label, an artist, a venture capital fund. What we’ll never do is invest in and own recordings,” she told The Australian Financial Review, in her first interview since joining Spotify from competitor Pandora, whose Australian office became a casualty of streaming’s tight margins last July. The former ABC studio in Elsternwick where Australian television cut its teeth could be transformed into a budget housing and community hub under a bold council plea, reports Emma-Jayne Schenk in the Herald Sun. Glen Eira Council is pleading with the Federal Government to gift the entire former ABC Studio 31 on Gordon St to the public, after the council’s request for a portion of open space fell through. The Dream Factory is where trailblazing hit shows such as Countdown, Adventure Island, Kath & Kim, The Late Show, and Spicks and Specks were filmed. The venue was set to be sold off to developers earlier this year, after the ABC relocated to Southbank and the Federal Government sought valuations on the site. This is more than just a bump in the road, writes Michael Lallo in The SMH. Since ABC Radio Melbourne axed Red Symons, replacing him with Jacinta Parsons and Sami Shah in January, the station’s total audience share has dropped to 8% – its worst result since 1989. A panel discussion on the Seven Network about preventing the abuse of Aboriginal children has triggered a complaint to the Australian Human Rights Commission under section 18C of the Racial Discrimination Act, reports Chris Merritt in The Australian. Aboriginal activists who lodged the complaint allege the panel discussion, on Seven’s Sunrise program, caused them to feel offended, insulted, humiliated and intimidated on the basis of their race. Seven has begun legal action to strike down a finding by the broadcasting regulator that Sunrise breached broadcasting codes in March by including “strong negative generalisations about indigenous people”. Sunrise host Sam Armytage had inaccurately stated, based on a report from The Courier-Mail, that indigenous children who were suffering abuse could “only be placed with relatives or other indigenous families”. A group of Aboriginal elders say they have lodged a complaint with the Australian Human Rights Commission over Sunrise’s infamous segment on indigenous adoption, reports Broede Carmody in The SMH. Earlier this year, Sunrise host Samantha Armytage wrongly claimed that at-risk indigenous children could only be adopted by Aboriginal and Torres Strait Islander families, and that they’re being left where they are “even if they’re being neglected in their own families”. Ratings for Network Ten’s weekend current affairs show, The Sunday Project, have almost halved since the television station’s star recruit, Lisa Wilkinson, took over as host, reports Aaron Patrick in The AFR. Viewers over the hour-long program in Sydney, Melbourne, Brisbane, Adelaide and Perth fell from 543,000 in January to 281,500 last Sunday, a fall of 48%, according to industry figures. The decline is a blow for American television giant CBS, which bought Ten this year and hailed the recruitment of the highly paid celebrity from Nine as a sign of its determination to turn around the perennially third-ranked commercial broadcaster. “Having an incredible talent like Lisa Wilkinson coming over to join Ten… was another indication of our investment in this market,” the head of CBS’s international division, Armando Nunez, said in April. It’s hardly the place to strategise open heart surgery, writes Holly Byrnes in The Daily Telegraph. Because, make no mistake, with Nine’s breakfast show plummeting to its lowest audience numbers in more than a decade this week, the network’s bosses can’t go on ignoring the symptoms of a show in decline. Like any patient in palliative care, there can be good days but if the last year has taught management anything, it’s that only radical change for its stars and format that will shake this program back to life. And before everyone rushes to blame Karl, he alone can’t be held accountable for the condition the show is in right now. Even if his toxic malaise is a large part of the problem, in my opinion, it’s Karl – and the whinging he went on with in the back of that Uber back in March – where a solution, strangely, may be found. The ABC on Monday made dangerously clear that facts don’t count when it’s defending its global-warming religion. Its Media Watch show was upset that I’d criticised then-prime minister Malcolm Turnbull for getting it so wrong on global warming, writes Andrew Bolt in The Daily Telegraph. I said then that the evidence proved Turnbull wrong, even if the ABC is too dishonest to show it. For a start, the global warming we’ve actually seen is less than predicted under the climate models. What’s more, the Bureau of Meteorology’s data shows Australia has been getting more rain, not less, over the past 118 years. Even in NSW, the data shows no evidence of more drought. Moving in with her boyfriend means Ashleigh Brewer won’t be extending her stint on popular TV soap Home And Away, reports Jonathon Moran in The Daily Telegraph. The Los Angeles-based actor returned to Australia to join the cast as a cop named Chelsea, with her first episodes debuting this week and the actor to be seen on-air for several months. “That time on the ground living and working in Australia, I needed them more than I even recognised I needed them,” the 27-year-old said. Download festival in Melbourne and Sydney in March next year will be among the final stops for heavy metal legend Ozzy Osbourne’s No More Tours II tour, reports Martin Boulton in The SMH. As the Godfather of Metal draws the curtain on 50 years of touring – as frontman of Black Sabbath and as a solo artist – Osbourne and his band will headline Sydney’s inaugural Download on Saturday March 9, and the second annual Download in Melbourne on Monday March 11. The huge lineup for both the Melbourne and Sydney events will also feature Slayer (also on a final tour before hanging up their guitars), Judas Priest, Anthrax, Alice In Chains, Ghost and Rise Against, while local bands will include The Amity Affliction, High Tension, Frenzal Rhomb and Luca Brasi.